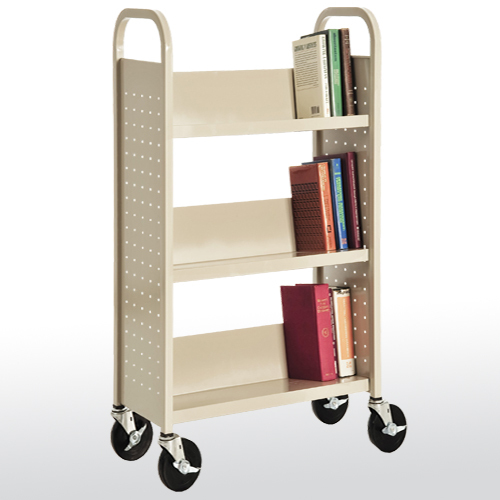 Fully adjustable shelves adjust on 1” centers plus raised bottom shelf. Welded steel construction. Powder coat finish. Shipped assembled. GREENGUARD CERTIFIED. 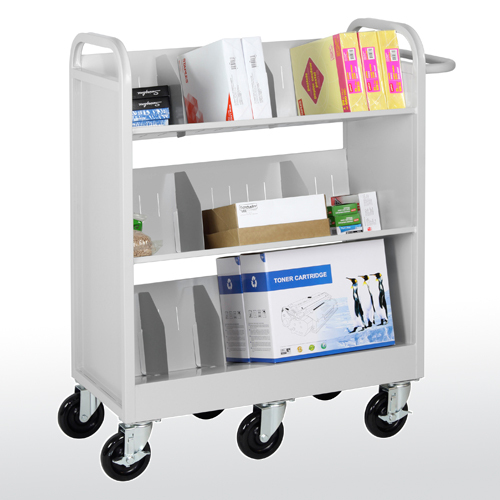 Welded steel construction with fully adjustable shelves adjust on 1” centers with raised bottom shelf. 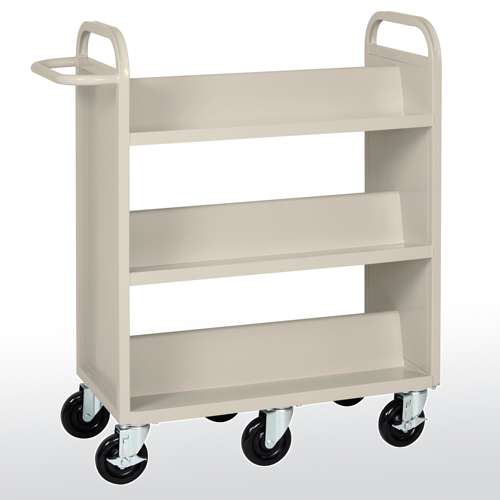 Includes heavy duty caster base with four 5" casters (2 with locking brakes). Shipped assembled. 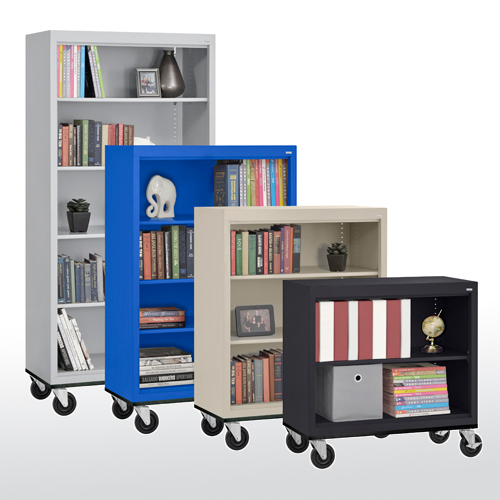 The overall height includes 6" for casters. GREENGUARD CERTIFIED. 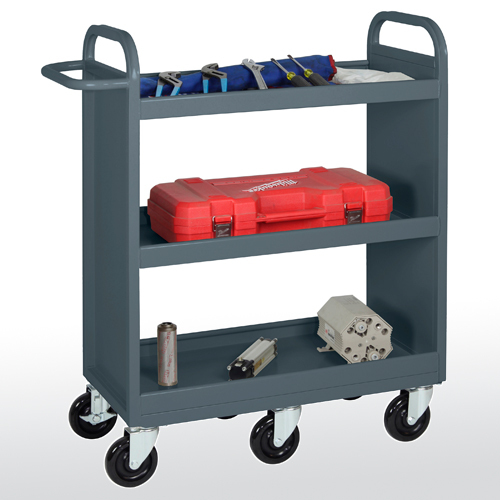 Full suspension locking file drawer holds letter or legal hanging files. Shelves adjust on 1” centers. Full width pull handle. Powder coat finish. Ships assembled. GREENGUARD CERTIFIED. Easy snap-together design assembles in minutes. 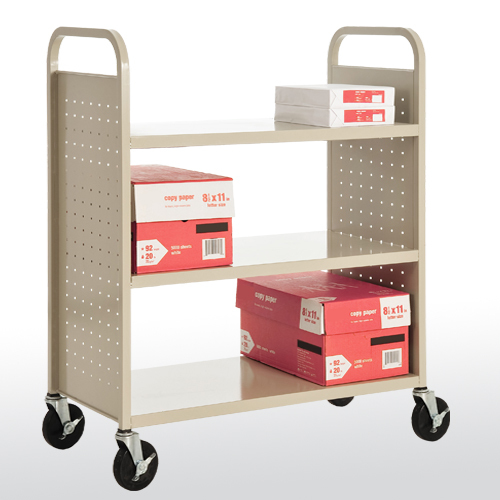 150-lb capacity shelves adjust in 2” increments. Powder coat finish. 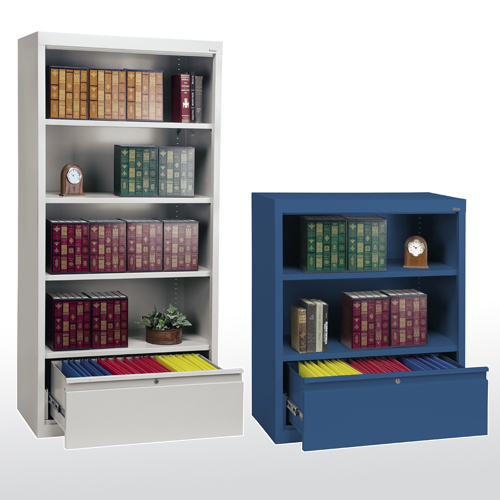 Features three flat shelves with 12” clearance between each shelf. 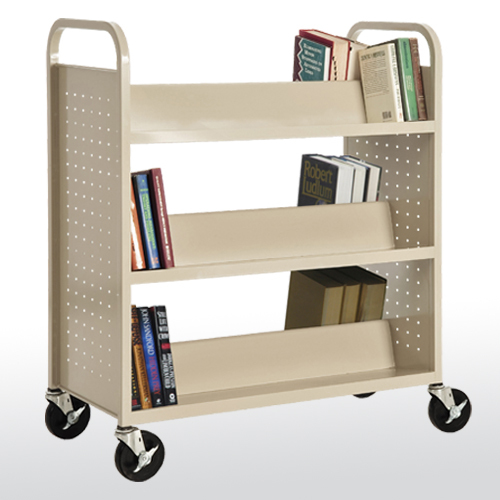 Offers a large shelf clearance ideal for bulky items. Shipped assembled except for casters. The height on the menu does not include the casters, please add 6 inches for total height. GREENGUARD CERTIFIED. 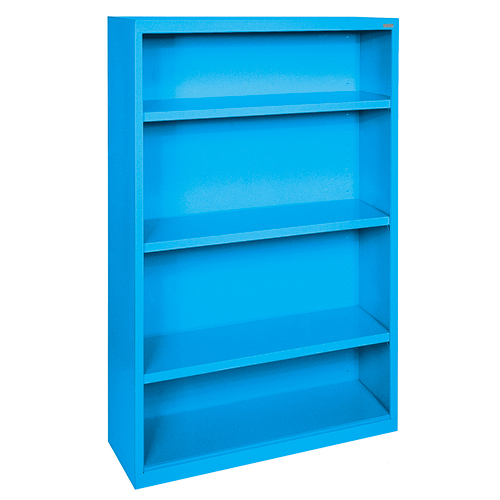 Features three sloped shelves with 12” clearance between each shelf. Shipped assembled except for casters. The height on the menu does not include the casters, please add 6 inches for total height. GREENGUARD CERTIFIED. 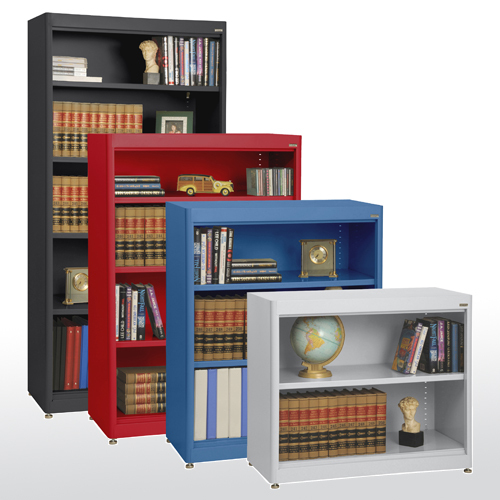 Features two sloped shelves with 13-1⁄2” clearance between each shelf. 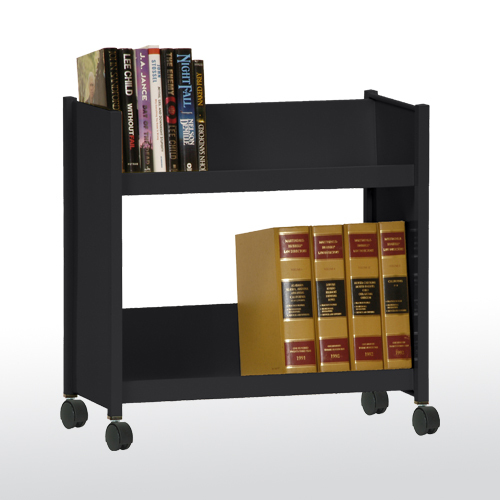 4” black furniture style casters for easy movement. GREENGUARD CERTIFIED. 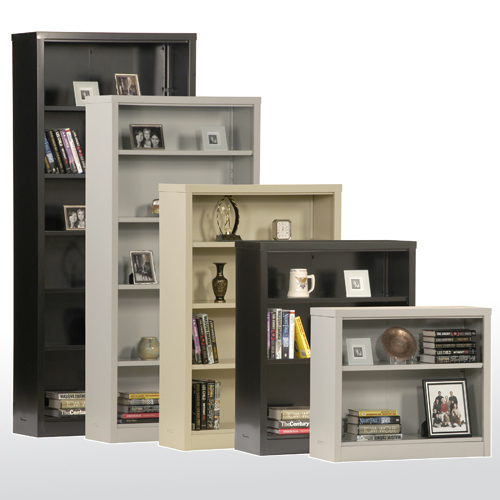 Offers more storage space featuring six sloped shelves (3 on each side) with 12” clearance between each shelf. Shipped assembled except for casters. The height on the menu does not include the casters, please add 6 inches for total height. GREENGUARD CERTIFIED.